James Michener (1907-1997) was adopted by a Quaker from Doylestown, Pennsylvania. He attended Swarthmore college for English and psychology, graduating with honors in 1929. After a couple years spent abroad, Michener returned to Pennsylvania to teach high school English. In 1935, he married his first wife, Patti Koon, then earned his Masters and taught briefly at Harvard before becoming an editor for Macmillan Publishers. 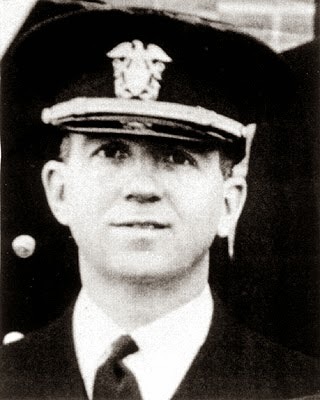 Michener served in the South Pacific during WWII. His experiences there provided the basis for his first novel, Tales of the South Pacific (1947), which won the Pulitzer for fiction in 1948 and was adapted by Rodgers and Hammerstein for the stage, under the title South Pacific. In 1948, Michener divorced Koon and married Vange Nord. Michener appeared in the top 10 annual bestsellers list twice in the 1950s, and fifteen times over the course of his life, taking the top spot four times. In 1955, he divorced Nord and married Mari Sabusawa. In 1977, Michener recieved the Presidential Medal of Freedom. He died of kidney failure in 1997. The Source starts with a crew of archaeologists arriving at a dig site in Israel. This archaeological dig serves as the frame narrative for a story that spans about five thousand years, starting in the Stone Age and the move towards an agricultural society up through the creation of the modern nation of Israel. Michener's writing reminds me a lot of Irving Stone's, but whereas Stone novelizes the biography of individuals, Michener writes the biography of regions. He does have some of the same problems as Stone, most importantly the rather dry prose. The Source is exhaustively researched, and at many times reads more like non-fiction or a history textbook than a novel. This is the second novel about Israel on my list (not counting the novels that take place at or around the time of the Jesus), the first being Uris's Exodus, which is also based on exhaustive research. Israel is still a hot topic today. The Source is one of only a handful of novels so far on my list to have not had a film adaptation. In this case, it's not surprising. The Source functions in many ways like a novel in stories, that is to say, a novel comprised of a number of connected short stories. 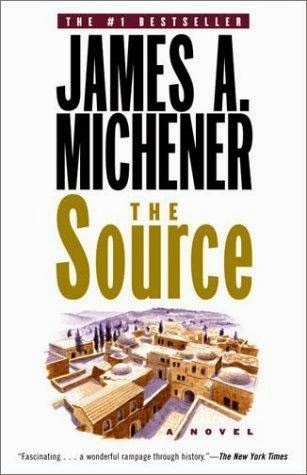 The Source is pretty darn long, which seems to be typical of Michener's work. I feel that part of this is due to the novel's function as a history book, where details and explanations that are not really necessary for the story, or even slow the story down, are included for a sense of historical completeness. This can be interesting, if at times a bit annoying. Overall, if you are interested in religious history or historical fiction, The Source is a good, if long, book for you. Michener, James. The Source. New York: Random House, 1965. Print.